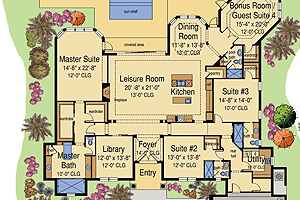 Great Room plan with 3 bedrooms, 4 baths, plus a Bonus Room and Library. 3 car court loaded garage. Classical styled elevation. Master suite has 12′ high ceiling and expansive transom windows. Also His and Her closets. Leisure room with step ceiling to 13′ and large pocketing 10′ high sliders are open to Kitchen. The Leisure Room features a 54″ Linear fireplace mounted in a full height stacked stone wall. Dining room located on the rear of the home with a view to the pool and rear yard. Kitchen with double Island which creates efficient separate work areas. Walk in pantry. Thermador Masterpiece Series; induction cook top with Triple Oven/Microwave/warming drawer. 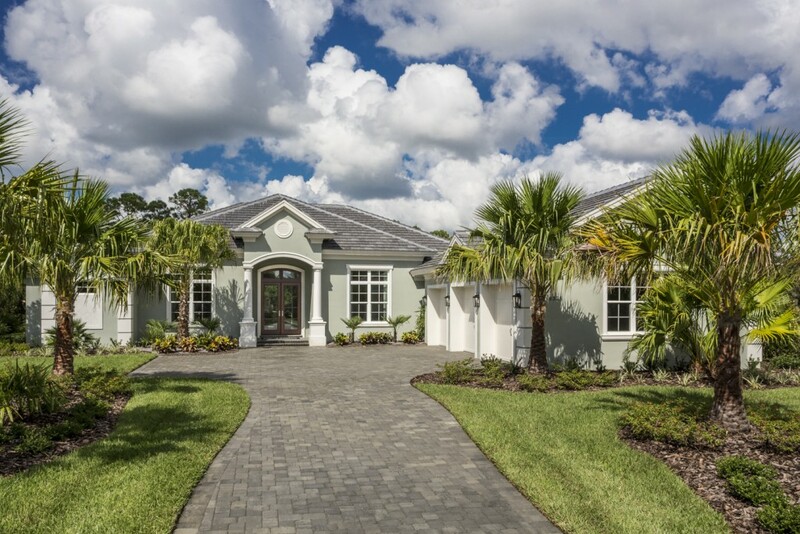 Over sized secondary bedrooms with walk in closets and private baths. Angled bonus room creates private retreat to watch TV or for reading. Entry into the Library highlighted with French door mounted with barn door hardware. Three car court-loaded garage with individual carriage style garage doors. 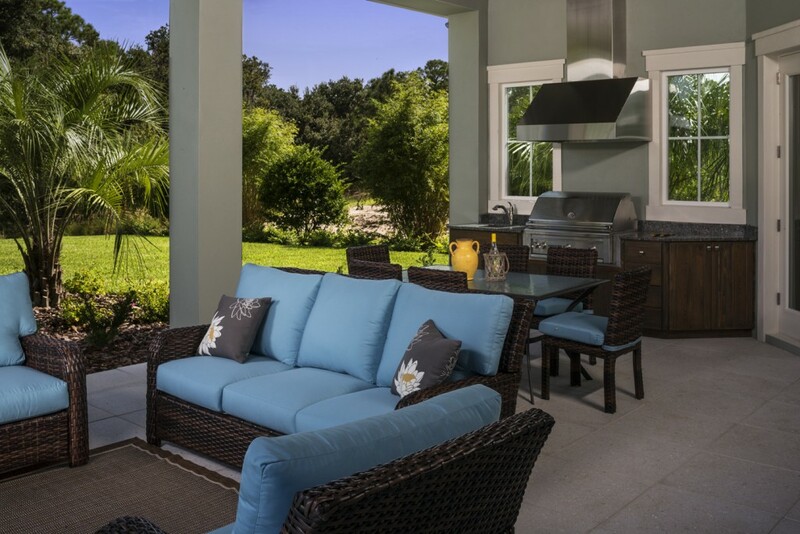 Covered Outdoor Living area with space for dining, lounging and outdoor kitchen. Oversized 15′ x 35′ pool with spa and 24″ square shellstone Adjacent sitting area with Fire table. Interior Design and furnishings by Deeia M Topp features a Transitional Style that marries clean and contemporary elements with traditional charm.